BILLINGS, Mont. – Flint Rasmussen slipped on the blue and gold Cooper Tires jersey and tugged at the sleeves a bit. Rasmussen did his best to use his hands as an improvised iron to fix some of the wrinkles on his Montana State-themed jersey with the Montana area code (406) proudly on his back. He then bent over to pull up his white Montana State Bobcat socks. In Montana, there are no top-level professional sports teams. Instead, usually the line in the sand is drawn over whether or not you are a Bobcat or a Grizzly. The Big Sky’s version of Yankees-Red Sox can be a heated debate across the 147,000 square-mile state over the Montana State Bobcats and University of Montana Grizzlies. Rasmussen, though, has long been a Bobcat even well before his daughter, Shelby, decided to college rodeo there. (His younger daughter, Paige, will be attending Montana State next year as well). The PBR’s exclusive entertainer’s parents were Montana State Bobcats as well. His brother, Wilt, attended school there and so did his sister. It would only make sense that Flint was a Bobcat graduate too. Rasmussen actually attended the University of Montana Western, and it was there that one of Rasmussen’s biggest allegiances to Montana State was born. The Choteau, Montana, native was a double major in history and math worked as a resident assistant. It was in 1988 that he was tasked with monitoring a freshman floor of all football players. One of his residents was none other than current Montana State Bobcat head coach Jeff Choate. Choate actually attended the PBR event last year in Billings, and he texted Rasmussen this week to tell bull rider Ruger Piva – a Western Montana State graduate – that he knows him and works with his mom. Rasmussen laughed when asked if he ever had to write-up Choate for any infractions in college. The Billings Invitational continues on Saturday night at Rimrock Auto Arena at 6 p.m. MT (RidePass 7:30 p.m. ET). Rasmussen’s alma mater – Western Montana – actually won the NAIA women’s basketball national championship last month inside Rimrock Auto Arena. 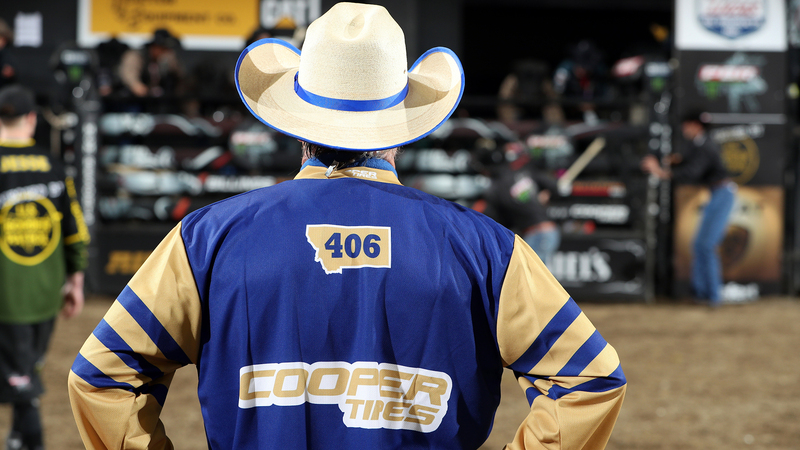 Rasmussen always looks forward to coming back home for the PBR’s longest-running premier series event. Billings is a unique and special spot on the Unleash The Beast calendar, and the PBR has been hosting events in the Magic City for 24 years. Rasmussen grew up five hours northwest of Billings in Choteau. He can drive up and down the state, or throughout the United States, and determine based on license plate numbers which county of Montana the driver is from. An annual joke for Rasmussen in Billings is how he graduated high school with a class of 37 students, but there are 500 people at the event this weekend that will say they went to school with him. Small town jokes always perform well in Billings. Rasmussen knows that Montana has a different perspective externally across the country than internally. Those from outside the state see gorgeous, picturesque mountains, ski resorts, Big Sky country and Yellowstone National Park. Montana, though, is much more than just beauty and nature. “You have the Montana that everybody sees pictures of,” Rasmussen said. “Kalispell. Big Sky. Ski resorts. The mountain peaks. The pine trees. Then you have people from Miles City that live out in the prairie in the sagebrush by the Yellowstone River and they ride horses and they brand cattle. It is many of those cowboys and ranchers that drove more than nine hours from Wyoming, North Dakota, South Dakota and other areas to see 2016 World Champion Cooper Davis win Round 1 on Friday night. They will be here all weekend cheering on the Top 35 bull riders in the world with extreme passion. The PBR is their professional team for many of them, and they view Davis, J.B. Mauney, Kaique Pacheco, Silvano Alves and Jess Lockwood at the same level fans view Peyton Manning, Carson Wentz and Brett Favre. “I love the organization I work for, but we can go to the L.A.s, the N.Y.s and Chicagos, and that does us good, but we can’t lose the Sioux Falls, the Billings and the Nampas," Rasmussen said. "These are the people that are the base for everything we have ever done. “I think about L.A. when we introduced Sylvester Stallone and the people cheered. Let me tell you, these people cheered for Cooper Davis like that because they watch us on TV and that is a big deal in Montana.